Trigeminal neuralgia (TN) is considered to be one of the most painful afflictions known to medical practice. TN affects the trigeminal nerve, one of the largest nerves in the head that causes extreme, sudden or shock-like facial pain in the areas of the face such as lips, eyes, nose, scalp, forehead, upper jaw and lower jaw. The pain episodes last from a few seconds to as long as two minutes. The trigeminal nerve is one of 12 pairs of nerves that are attached to the brain that are divided into 3 parts, namely Ophthalmic, Maxillary and Mandibular. In some cases, the cause of trigeminal neuralgia is unknown. The most frequent cause of trigeminal neuralgia is a blood vessel pressing on the nerve near the brain stem. Over time, changes in the blood vessels of the brain can result in blood vessels rubbing against the trigeminal nerve root. The constant rubbing with each heartbeat wears away the insulating membrane of the nerve, resulting in nerve irritation. The symptoms of TN are found in those people who feel pain on their face or in their mouth and teeth. The pain can come and go suddenly and unpredictably. Attacks become more frequent and intense over time if left untreated. People often use words like stabbing, lacerating, electric shock-like and shooting to describe the pain. Usually, the pain is felt on one side of the jaw or cheek, but some people experience pain at different times on both sides. Each burst of pain lasts only a few seconds or minutes but some people might experience several bursts in quick successions and this can last for hours. Other people might experience more than 20 shorter attacks a day. The disorder is more common in women than in men.Although infants, children and young adults may develop this disorder, it is rare in people younger than age 40. 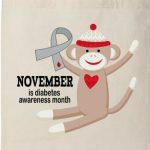 Many people with diabetes have problems with their nerves, including neuralgia. The excess glucose in the bloodstream may damage nerves. Diabetes is a risk factor to the development of classical trigeminal neuralgia and nerve damage due to hyperglycemia might be the linkage to the two diseases. Can Stress Cause Trigeminal Neuralgia? Stress is not the primary cause of trigeminal neuralgia. However, it has been identified as playing a role in triggering, and maintaining trigeminal neuralgia, especially where the condition has become chronic. 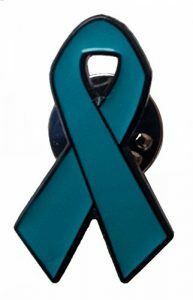 Some people have reported the onset of trigeminal neuralgia following major stressful life events such as divorce, death of close relatives, and unemployment/change of job. Clinical studies have shown that psychological stress can make trigeminal neuralgia symptoms worse. Suffering from trigeminal neuralgia can be stressful in itself. You may find it more difficult to cope with other stressful events in your life, in addition to living with this painful condition. It can become a vicious circle. The pain associated with trigeminal neuralgia can occur suddenly and unpredictably. Not knowing when or where such the next attack might happen can lead to anxiety and stress. This can have a detrimental effect on your day-to-day life. It may mean having to have time off work or restricting your social activities. 3.A tooth extraction on the same side as your facial pain – Sometimes a tooth extraction can cause pain in the area of the missing tooth. 4.Any areas of painful facial blisters – Painful blisters can be a sign that you have a viral infection involving your facial skin, such as herpes (which is caused by the herpes simplex virus) or shingles (which is caused by varicella zoster, the chickenpox virus). Facial pain can last for weeks after the blisters heal, especially in cases of shingles. Next, your doctor will thoroughly examine your head and neck, including the area inside your mouth. The doctor also will do a brief neurological examination and concentrate on feeling and muscle movements in your face. In almost all cases of trigeminal neuralgia, the results of these examinations are normal. If necessary, your doctor will order a magnetic resonance imaging (MRI) or computed tomography (CT) scan of your head to check for blood vessel abnormalities, tumors pressing on your trigeminal nerve or other possible causes of your symptoms. Your doctor will diagnose trigeminal neuralgia based on your symptoms, the examination and test results. There is no specific test to confirm the diagnosis of trigeminal neuralgia, so an important part of the diagnosis is excluding other explanations for the symptoms. Trigeminal neuralgia is unpredictable. For unknown reasons, many people experience periods when the illness suddenly gets worse and causes repeated painful episodes over several days, weeks or months. This period may be followed by a pain-free interval that can last for months or years. Because the cause of trigeminal neuralgia is unknown, it cannot be prevented.You should seek medical help immediately if you develop facial pain that fits the pattern of trigeminal neuralgia. The first medical treatment for trigeminal neuralgia usually is carbamazepine (Tegretol and others). Carbamazepine is an anticonvulsant medication that decreases the ability of the trigeminal nerve to fire off the nerve impulses that cause facial pain. If carbamazepine is not effective, other possible drug choices include phenytoin (Dilantin), gabapentin (Neurontin), lamotrigine (Lamictal), topiramate (Topamax), and valproic acid (Depakene, Depakote). A muscle relaxant such as baclofen (Lioresal) can be tried alone or in combination with an anticonvulsant. Narcotic pain relievers, such as oxycodone, hydrocodone or morphine (several brand names), may be taken briefly for severe episodes of pain. Some of these medications carry the risk of unpleasant side effects, including drowsiness, liver problems, blood disorders, nausea and dizziness. For this reason, people taking any of these medications may be monitored with frequent follow-up visits and periodic blood tests. After a few pain-free months, your doctor may attempt to decrease the dose of the medication gradually or discontinue it. This is done to limit the risk of side effects and to determine whether your trigeminal neuralgia has gone away on its own. 1.Rhizolysis – In this approach, part of the trigeminal nerve is inactivated temporarily by using one of the following methods: a heated probe, an injection of the chemical glycerol or a tiny balloon that is inflated near the nerve to compress it. During the procedure a needle or a tiny hollow tube called a trocar is inserted through the skin of your cheek. These procedures provide immediate relief in up to 99% of patients, but 25% to 50% of people will have the problem return during the next several years. 2.Stereotactic radiosurgery – This form of radiation therapy uses a linear accelerator or a gamma knife to inactivate part of the trigeminal nerve. After your head is positioned carefully in a special head frame, many tiny beams of radiation are aimed precisely at the part of the trigeminal nerve that must be inactivated. Stereotactic radiosurgery is a fairly new treatment option for trigeminal neuralgia, and its long-term success rate is still being evaluated. 3.Microvascular decompression of the trigeminal nerve – In this delicate surgical procedure, a surgeon carefully repositions the blood vessel that is pressing on your trigeminal nerve near your brain. Because this procedure involves opening your skull, the ideal candidate for this procedure is someone who is generally healthy and younger than 65. Overall, the immediate success rate is approximately 90%, and 70% to 80% of patients have long-term relief. Microvascular decompression may be effective for patients who have not had success with one of the less invasive surgeries. 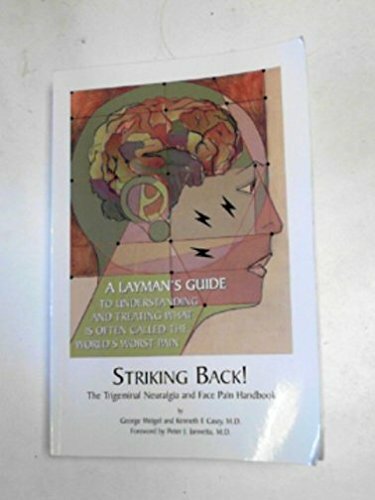 Literally hundreds of natural treatments are recommended for trigeminal neuralgia.Many claim they can “cure” trigeminal neuralgia, but like many conditions, there is no true cure for trigeminal neuralgia, only intervention and management.The most popular of the natural treatments that claim to offer relief are covered here. B complex vitamins and omega-3 fatty acids are crucial for promoting healthy nerve function and reducing inflammation. By ensuring you have an adequate amount of these vitamins and fatty acids in your diet, you can help reduce trigeminal neuralgia pain. Luckily, there are many foods that are rich in these nutrients. These include eggs, dairy products (i.e. milk, yogurt and cheese), leafy greens and legumes (i.e. beans, peas), whole grain products (e.g. breads, oatmeal), almond milk, soy milk, and flaxseeds. By improving your diet and adding B complex-rich foods, you can easily give your body the vitamins it needs to prevent trigeminal neuralgia. Omega-3 fatty acids can also be taken in a fish-oil or flaxseed-oil supplement. There are also non-dietary treatments for trigeminal neuralgia. One treatment for facial pain is ashwagandha oil, which is an anti-inflammatory that contains antioxidants. Not only can it help relieve nerve pain, but it can promote faster healing by boosting your immune system. The oil can be directly applied to your skin in a massage. Natural Health studys mention the topical use of capsaicin cream or cayenne pepper, also called capsicum, for pain relief for trigeminal neuralgia. Capsaicin cream is available for purchase in pharmacies. Alternatively, a pinch of cayenne pepper can be mixed with olive oil or other unscented facial cream and applied to the painful area. Both capsaicin and cayenne pepper may produce hypersensitivity of the skin and the affected nerve. Discontinue use if this occurs. People who bleed easily should avoid using cayenne pepper. Several Chinese herbs provide pain relief for those suffering from trigeminal neuralgia according to some studies. Shao Yao Gan Cao Tang, a peony and licorice combination, is useful for calming spasmodic, sudden pains. Qing Shang Juan Tong Tang helps relieve head pain in general, including facial pains. Xue Fu Zhu Yu Tang helps to unblock trapped energy channels, increasing blood flow to the painful area. Side effects may occur from the use of these herbs, and guidance from a qualified practitioner is recommended before using Chinese herbs for this condition. Refer to our article Using Herbal Remedies Safely! Research findings state that trigeminal neuralgia is initiated by a viral infection which may have been laying dormant in the nervous system – similar to what initiates/causes a herpes or shingles outbreak. So the best way to flush out and kill any and all viruses in the body and give yourself some welcome pain relief is with a combination of colloidal silver and DMSO. The colloidal silver is first taken orally at 3-5 teaspoons per day (in divided doses) mixed in a full glass of water for a period of 8-12 weeks. This will eradicate all viruses, bacteria, fungicides and unwanted protozoa’s within the body. Colloidal silver is safe to use as well and doesn’t have any harmful side effects. Mix together 1 teaspoon (100 drops) of colloidal silver with 20 drops of pharmaceutical grade DMSO. Soak the mixture with a paper towel or cloth then place over the affected/painful area. Leave on for 20-30 minutes. Repeat this process 3 times daily for 4-6 weeks. The colloidal silver will help to kill the virus, while the DMSO helps the silver to penetrate deep inside, along with providing powerful pain relief. Magnesium and boron are both crucial for the health of nerve fibers and myelin sheath. They will not only help to restore the normal function of the trigeminal nerve (by restoring the myelin sheath), they will also help to reduce any swelling and inflammation. To get your daily supply of absorbable magnesium, a transdermal magnesium oil spray is definitely the best solution. With the oil spray, the magnesium is absorbed straight into the bloodstream through the pores of the skin. Spray the magnesium oil on your arms, legs, and stomach once to twice daily using 10-15 sprays per application. You’ll find it may tingle on your skin, especially the first few times you use it. This is normal and means it’s working. Leave on for at least an hour before showering. Use a natural skin moisturizer afterwards. Anti viral herbs such as St John’s Wort (the most powerful), turmeric, ginger, cinnamon, garlic, cloves, oregano, lemon balm, and rosemary all help tremendously with trigeminal neuralgia by further helping to kill any unwanted viruses, along with boosting the immune system and calming the nerves. Many sufferers recommend taking 300mg of St. Johns Wort together with a B-Complex once a day and they claim that within a week you will be pain free!!!! Coconut oil is another potent anti-viral and anti-fungal food that many people claim helps reverse the effects of this condition. Coconut oil is best consumed by taking 2-3 tablespoons per day (taken anyway you want) and with the other anti-viral herbs, just use them in your cooking and foods as much as you possibly can! Compress can be prepared using heat packs and ice packs that are helpful in treating trigeminal neuralgia. Both kinds of compresses are helpful in relaxing the muscles. People suffering from trigeminal neuralgia can place ice packs over the cheeks and jaws that would provide instant relief. Similarly, hot packs can be used as compresses for providing relief from the disease.Another method is to used hot pack and cold pack alternatively that would soothe the aching muscles. Gel packs that are reusable can also be used. These cold and hot gel packs can be stored in the freezer or microwave as the case may be. Epsom salt is useful for the treatment of trigeminal neuralgia. Adding this salt in bath water and taking bath using this water would provide relief from the pain associated with trigeminal neuralgia. This remedy is also helpful for relaxing the muscles that are tensed. The affected areas of the body can also be soaked under this water which is another way of using this remedy. People suffering from trigeminal neuralgia should avoid the consumption of alcohol and caffeine as these beverages can worsen the conditions. One should also not consume coffee, black tea or soda. It is important to remove these nutritional stressors from one’s diet. Drinking water is beneficial for the patients suffering from trigeminal neuralgia. One should prefer the consumption of alkaline water or one can drink spring water. Stress can trigger an attack of trigeminal neuralgia so it is important to try and stay calm and reduce stress. Take a relaxing bath, have a massage, go to bed early and try not to have an over-hectic schedule. If you are feeling stressed due to your neuralgia, talk to your friends and family. Sharing how you feel might help to reduce your stress levels. Get adequate rest, eat a healthy diet and engage in regular exercise. (Ask your doctor which exercises are safe for you.) Relaxation techniques like prayer meditation may also help you feel better. 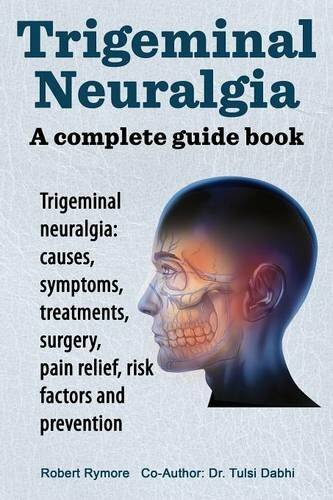 Trigeminal neuralgia is not dangerous, but it can make your life miserable. It’s important to have the condition treated as soon as possible before it gets worse. There are a variety of medications and surgeries that can eliminate the pain. There are also natural treatments that can help stop and prevent trigeminal neuralgia.Don’t suffer needlessly – take the right steps to eliminate your pain!